SAP BPC is set to become an integral part of the business planning process not only for Finance teams, but other functional departments, enabled by the integration with SAP Analytics Cloud (SAC). 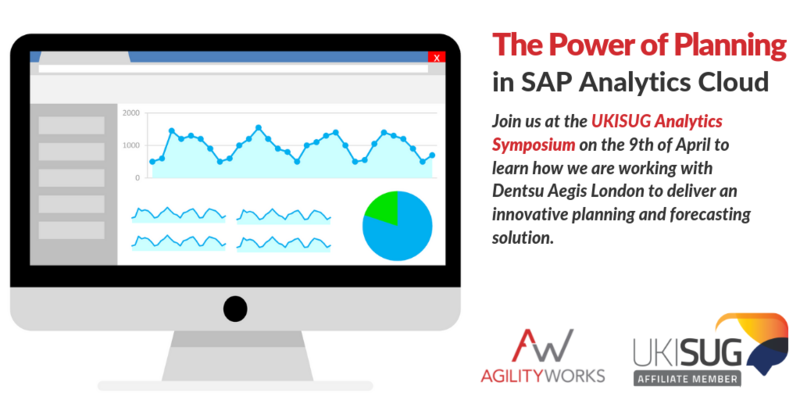 In this session, we will detail how we are working with the well-known advertising agency, Dentsu Aegis London, to deliver an innovative planning and forecasting solution for their UK business (40 plus users). We will give insight into how SAC can connect to SAP BPC and HANA to provide a perfect starting point for any departmental planning, with a demo to show you exactly what that looks like. This session is a real must see if you are interested in planning/forecasting and how SAP Analytics Cloud can accelerate your deployment.